Set in the Joseon Dynasty period, pirates fight to catch a gray whale which swallowed a royal stamp. Filming began August 15, 2013 on Cheongwan Mountain, which is located in Jangheung, South Jeolla Province, South Korea. Filming finished January 9, 2014 in Namyangju, Gyeonggi Province, South Korea. 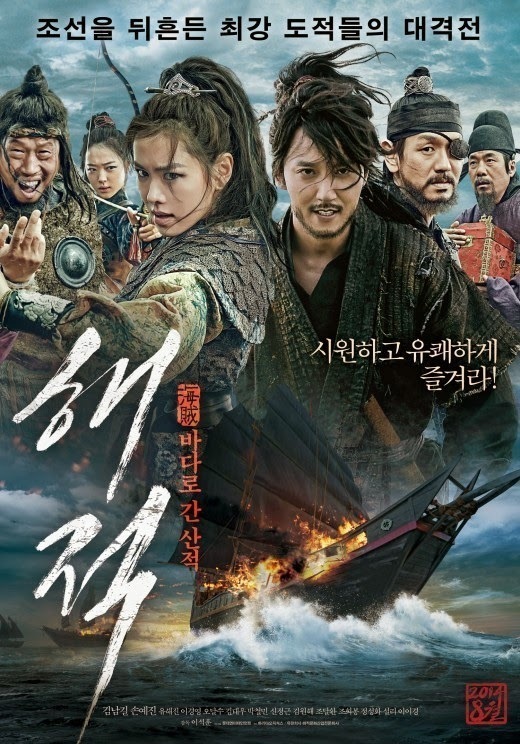 The last scene filmed involves Jang Sa-Jung (Kim Nam-Gil) and Yeo-Wol (Son Ye-Jin) isolated on an island, finding a lost pirate ship. During the Film market at the 2014 Cannes Film Festival, movie “The Pirates” sold to 15 countries including USA, Japan, Germany, Belgium and Netherlands.